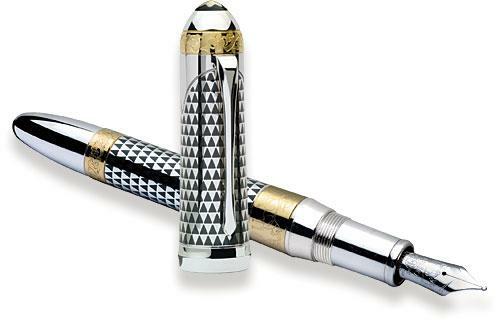 This pen reminds me of the J.P. Morgan – lots of metal and pretty flashy but Montblanc sticks to mostly neutral colors. The 3D effect of the finish is cool. The look of the pen makes you feel like it is worth its price. The Patron however is not as commonly known as some of the others so its future is questionable.